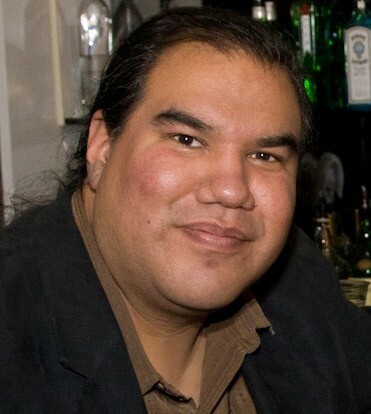 Chris Eyre, Native American filmmaker and director. The Agua Caliente Cultural Museum presented its 12th Annual Native American Film Festival which started on February 27, 2013 and screened the first of fifteen films at the Festival Host theatre, the Camelot Theatres of Palm Springs. All of the films have a direct connection to Native American or Indigenous people and their culture. All films screened at the festival have either been made by Native American or Indigenous filmmakers, actors, writers, producers, and/or technical experts from around the world. I had an opportunity to spend some time with Executive Director of the Agua Caliente Cultural Museum Michael Hammond, who is also the Festival Director and programmer along with Guest Programmer Elizabeth Weatherford. Weatherford is the Founder and Director of the Smithsonian National Museum of the American Indian. She will be on hand to facilitate the Q & A sessions and conversations with filmmakers in attendance after the screening of their respective films. JL: Michael you have fifteen films in this festival. Can you remember how many films were screened in that first festival back 2001? Michael Hammond: I most certainly can … just one! JL: Now for the toughie… What was the name of the movie? MH: That’s easy. “Smoke Signals”, directed by Chris Eyre. JL: I’m impressed. I thought I might have slipped one past you (Michael smiles). How do you and Ms. Weatherford arrive at selecting entries? Is there a criteria? MH: Yes. We stick to the Mission Statement. All entries have to be connected someway with Native American or Indigenous culture… filmmaker, actor writer, etc. The subject matter, however, is left up to the filmmaker. JL: You mentioned the film “Smoke Signals”, a moment ago. Isn’t the filmmaker of that film, back 12 years ago, receiving a special award at this year’s festival? Tell us about that. MH: Yes. Filmmaker and educator Chris Eyre, a member of the Cheyenne and Arapaho Nations of Oklahoma, is a festival participant. People magazine named him “the preeminent filmmaker of his time”. Chris will become the first recipient of the Richard M. Milanovich Award for Distinguished Contributions to Indigenous Film. We are so pleased to have Chris Eyre be that first recipient of the award named for the late Chairman of the Agua Caliente Band of Cahuilla Indians. We have two of Chris’ films in this year’s festival. JL: Tell us a little about the film that opening night attendees will see. MH: Sure, the film is called “Pathfinder – Ofelas”. It’s a Norwegian film directed by Sami filmmaker Nils Gaup, that is the first Sami-language feature film. The story is based on a Norwegian legend that dates back 1,000 years. It tells of a young man who leads his people in a fight against a brutal band of plunderers and vividly depicts ancient Sami life in the harsh climate of a people who live near the Arctic Circle. It’s a fascinating and compelling wilderness story of survival. JL: It sounds fascinating. Sort of a wild-west survival story. JL: But instead it takes place in the frozen north. MH: Another film in our festival is called “Mesnak”. It’s an amazing piece of work. It’s based on “Hamlet” and is directed by Canadian Yves Sioui Durand, of the Huron-Wendat Nation. JL: Michael, I look forward to seeing both film this week, and I want to thank you for your time today, especially with the Festival coming up this week. It’s appreciated. The film that opens the Palm Springs-based, Native American Film Festival “Pathfinder – Ofelas”, is a beautifully photographed and technically proficient movie. Set in the actual location of the Sami people of Northern Norway, the movie depicts a lifestyle of village hardship, mainly due to its climate. Obviously filmed during their severe winter months, one can literally feel and almost taste the bitter cold environment the small band of villagers must endure just to stay alive. In this rugged mountainous area, the villagers also must endure attacks from the Tchudes, a band of marauding plunderers bent on stealing, killing, and destroying as their way of life. The young hero, later to become a legend to his people, leads the Tchudes into the mountains and foils their village raiding plans. The story is somewhat simplistic, as all tales of legends and myths, must be. Oral histories are replete with handed-down narratives and tales, however, they are nonetheless the stuff of heroism and sacrifice becoming the basis and the touchstones of Sami cultural pride for generations to come. There are scenes of violence and brutality. After all the filmmaker is capturing rural life in the Dark Ages, but there is also a sense of the poetic in the manner in which director Gaup frames his story and his movie. One thing I know for sure. The “Pathfinder – Ofelas” film experience was almost too realistically visceral. (Brrrr!) I’m glad that after the conclusion, I have the good fortune of being able to step outside the theatre and into the warm and inviting climate of Palm Springs. But then again, that’s a compliment to the filmmaker’s intent. The Native American Film Festival runs through March 3rd. All screenings are at the Camelot Theatres in Palm Springs, California.